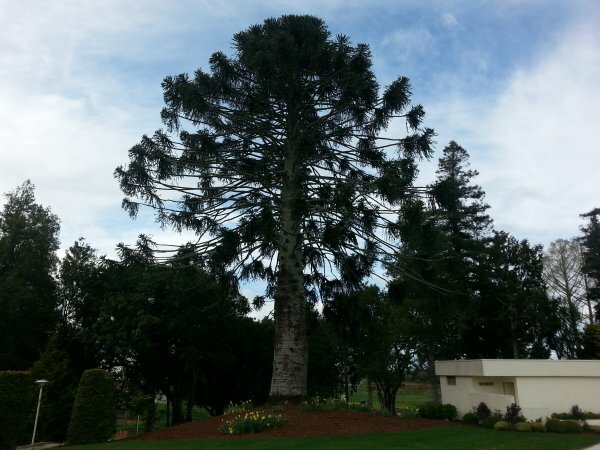 An old specimen located beside the visitor's centre below the Church of Jesus Christ of Latter-Day Saints Hamilton temple (Cadwallader, 2015). 23 Sep 2015 Cadwallader, B.G. & Fiske, Z. Immediately beside the visitors centre.